Be glad and rejoice forever in what I will create, for I will create Jerusalem to be a delight and its people a joy. We are traveling in a time capsule today and visiting the New Jerusalem. I hope you get excited about your inheritance. Jesus is preparing a new home for our eternal abode. He will bring it with Him when He comes again. However, as it is written: No eye has seen, no ear has heard, no mind has conceived what God has prepared for those who love him--but God has revealed it to us by his Spirit (1 Corinthians 2:9). Then I saw a new heaven and a new earth, for the first heaven and the first earth had passed away, and there was no longer any sea. I saw the Holy City, the new Jerusalem, coming down out of heaven from God, prepared as a bride beautifully dressed for her husband. And I heard a loud voice from the throne saying, “Now the dwelling of God is with men, and he will live with them. They will be his people, and God himself will be with them and be their God ”(Revelation 21:1-3).In Revelation 21 John’s vision of our eternal home is vivid. I challenge you to read about your future dwelling place. Isaiah, the Old Testament prophet spoke about the New Jerusalem in his chapters 65 and 66. Behold, I will create new heavens and a new earth. The former things will not be remembered, nor will they come to mind (Isaiah 65:17). This earthly paradise is reserved for all who believe, repent, and accept Christ as their Savior. Isaiah tells us that there will be people from all nations. 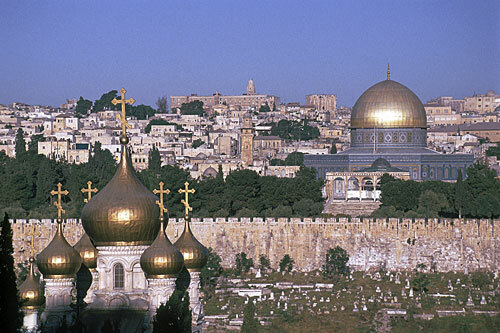 Jerusalem will be the capital city, but Christ’s earthly kingdom will be spread afar. God will dwell there. We will be in His presence. My favorite book about Heaven is Randy Alcorn’s Heaven. This book changed my vision of Heaven. He backs up his views with scripture and paints a glorious picture of our future as Christians. I think God’s Spirit has given this author unusually vivid glimpses of our eternal home here on Earth. What will the New Jerusalem be like? There will be no more tears, no more pain, no more stress, no more wars. We will no longer number our days for they will be forever. We are told our resurrected bodies will be like Christ’s. He heard conversation, felt emotion and even ate fish. We will still be ourselves without the bad parts. Our uniqueness will survive. We will be secure; not arrogant. We will be beautiful; not vain. Our senses will be more astute. We will experience joys and adventures beyond our imagination. What a future! The next time you are sitting by the bedside of a dying Christian replace your sorrow with joy. She is about to take a trip to the temporary heaven. She is going to be in a much better place than this chaotic world. Rejoice for her. Remember that you will see her one day and eventually share new adventures in the New Jerusalem being prepared for us. Dear Father, May we spend our time storing up treasures for our future in the New Jerusalem. Thank You for Your magnificent plan for our future.